Throttle Bellcrank- Upgrade  - $10.00 : Welcome to Zippkits! This is the upgraded version of our popular 3454 throttle bellcrank. When using our 3409 mounts, this linkage provides a straight run for the pushrod, straight back to the radio box. Makes a complicated throttle setup very simple. 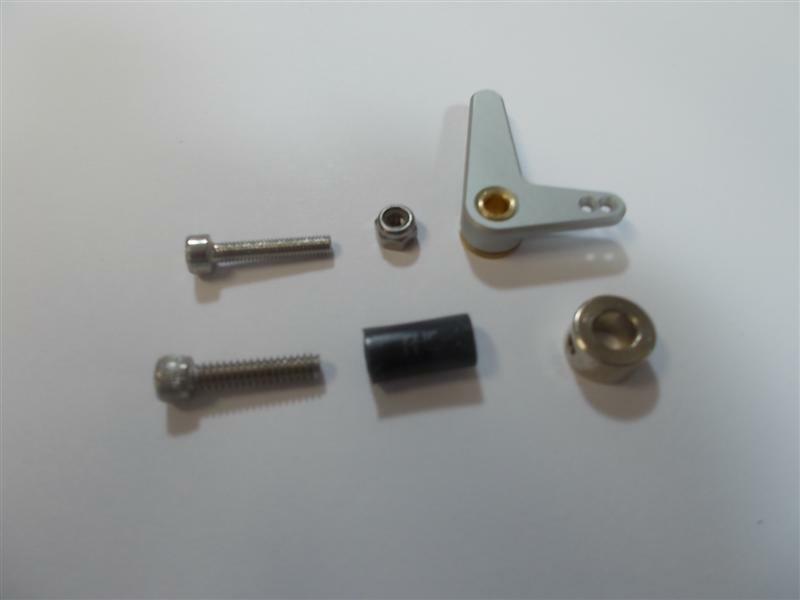 This set includes the parts that make up the throttle arm, as well as the brass bushed aluminum bellcrank.